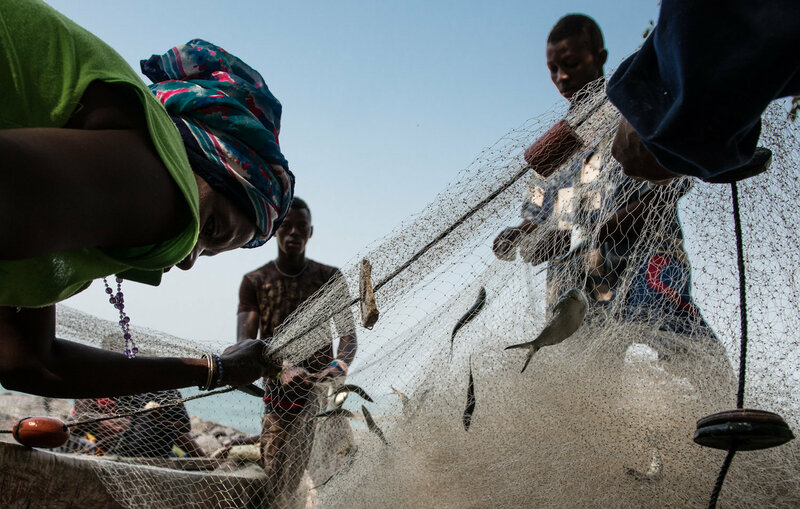 Villagers from John Obey collect the morning's catch from the fishermen's nets. Fishing is the remote village's livelihood. Catches have declined over the years with the arrival of illegal industrial trawlers.